It’s a good idea to regularly review your insurance cover to make sure that it fits with your current situation. A professional insurance advisor can help you decide what would be the best cover for you based on what you can afford to pay in premiums. If you have a superannuation account, you may already have some cover but legislation around superannuation changes. Don’t assume you are well covered without first consulting a professional insurance advisor. 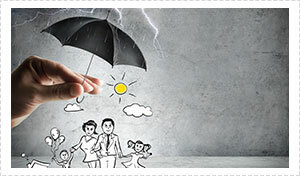 There are insurance policies available to cover virtually all aspects of your life including insurance on life itself. Other types of insurance available are income protection insurance, disability insurance, home, building and contents insurance, car insurance and landlord insurance. There is an insurance type for just about any event that’s possible to happen in your life. The type and level of insurance you should have can depend many factors and will change throughout your lifetime. Whenever a major life event such as buying a house or having children occurs you should consider speaking to someone who specialises in the area of insurance to discuss the best insurance options for you. When you borrow money the lender may require you to take out mortgage insurance depending on your circumstances . 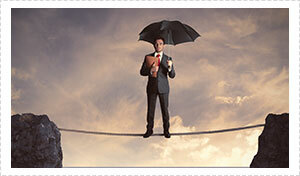 The nature of insurance means that policies can be easily misunderstood. Many people know of sad insurance related stories where a person was not properly covered for an event they thought they were covered for. Despite the complexities of insurance policies, the simple reason we have insurance is to provide you with money when things go wrong. This may cover the event entirely or just help soften the financial impact on you. You may be in a healthy financial position right now but if something happened to you and you could no longer work at the same capacity as you do now your income will most likely be the first casualty. Looking after your family and getting your health back on track should be your priority, not having to worry about how you’ll manage to get by financially. That’s why having appropriate insurance is so important. No-one likes to contemplate things going wrong but unfortunately things do sometimes go wrong and it can happen to anyone at any time. Being prepared means that in unfortunate circumstances the one thing you don’t have the worry over is money. The time you need insurance is the time you’ll be glad you’ve got it. Insurance is too important to leave to chance and policies can be complex documents for those not familiar with the legal terminology and conditions. Nexhome Finance, based on the Gold Coast also servicing Brisbane and surrounding areas, can also help clients to protect their lifestyle and mortgage through insurance. We can provide peace of mind for you by knowing that you have an insurance policy that will protect you when you most need it.